Fractionated CO2 Laser treatment is a powerful way to turn back the clock and treat lines and wrinkles. It is also very effective in resurfacing the skin of the hands, neck, and chest. If you’re considering skin resurfacing with a carbon dioxide laser, a big question is always what does fractionated carbon dioxide lasering mean? During the demonstration, we’re going to show 20%, 35%, 50%, and 80% fractionation. The amount of energy and the density of the laser coverage will help determine exactly what your results are. 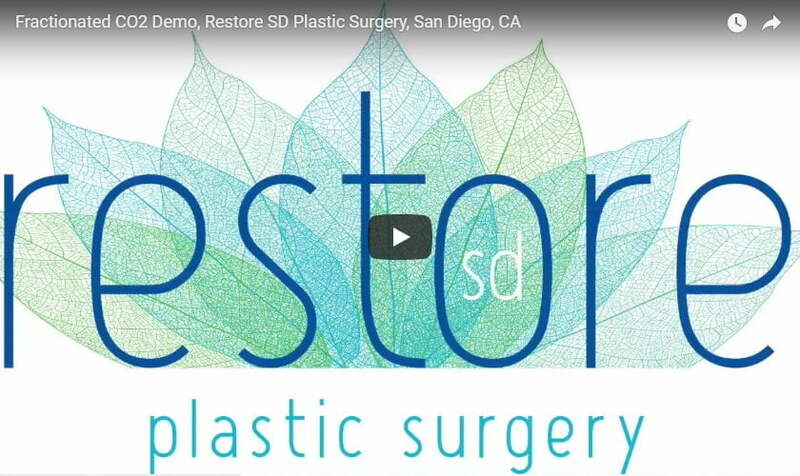 Come see us at Restore SD Plastic Surgery for a laser consult.